Many recent updates in this move-in ready Reems Creek Community home! Main level boasts a light-filled living room with vaulted ceilings and cozy fireplace, open dining/kitchen with granite counter tops and tile back splash, generous master suite with vaulted ceilings, double sinks, and soaking tub, two additional bedrooms, full bath, and laundry. Loads of possibilities in the finished basement including a den with wet bar, bonus room, full bath, and private entrance with deck. Two car garage and additional storage room. Recent updates: HVAC 2015, roof 2016, and water heater 2019. Lovely natural setting with low maintenance lot. 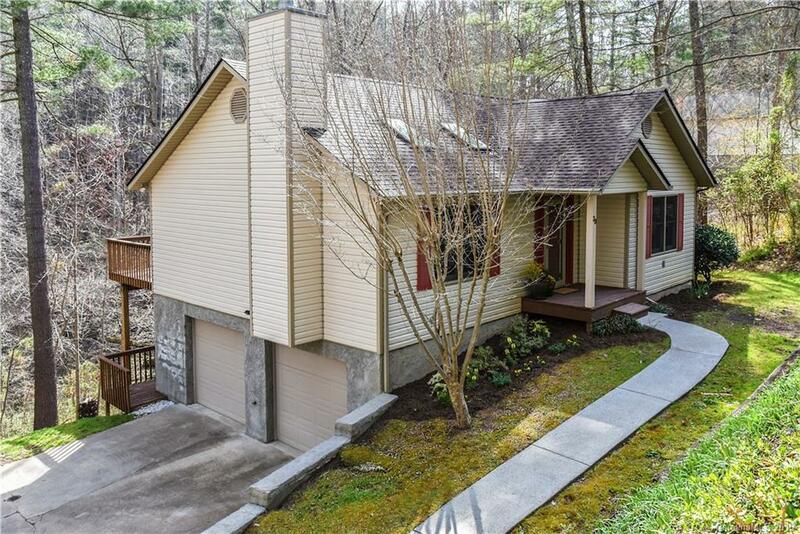 2 miles to Downtown Weaverville shops and restaurants, easy access to the Blue Ridge Parkway, and minutes to Downtown Asheville. The data relating to real estate on this website derive in part from the Internet Data Exchange program. Brokers make an effort to deliver accurate information, but buyers should independently verify any information on which they will rely in a transaction. All properties are subject to prior sale, change or withdrawal. Neither Bonnie Gilbert nor any listing broker shall be responsible for any typographical errors, misinformation, or misprints, and they shall be held totally harmless from any damages arising from reliance upon this data. This data is provided exclusively for consumers’ personal, non-commercial use and may not be used for any purpose other than to identify prospective properties they may be interested in purchasing. © 2019 Carolina Multiple Listing Services, Inc. Last Updated 2018-06-04.